Hola Lexicans! FINALLY we are into Spring (I really am not a lover of the cold) and I'm here with my next Favourites post (having missed it the last couple of months). 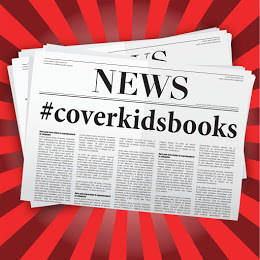 I have already done a post on #CoverKidsBooks (which you can check out here), but for those who didn't see it, #CoverKidsBooks is an ongoing Twitter hashtag which campaigns towards getting more media to get cover kids books in the press. Children's books get 30% of book sales yet a mere 3% of the coverage. One thing you might not know about me, is that I love a good bit of make-up so when my Nanny treated me to Urban Decay's Naked 2 I was beyond grateful! I haven't had too many chances to fully try it out yet, although I have been testing it on my hand, and so far my favourite shades are Half-Baked, a beautiful gold and Chopper, a copper colour. Naked 2 has everything you could want in an eye palette from various smoky colours to some very subtle nudes and everything else in between. I. Love. It. The Art Of Being Normal is a touching story based around transgender. It really changed the way I think and was definitely brought out a variety of different emotions from me. I would whole-heartedly recommend this book for 12+ (it contains some mature language and themes throughout the book). It is also shortlisted for the Waterstones Children's Book Prize so I'm excited to see how it does. Al's father has just died, but he has the chance to save him. However, it isn't that easy for Al has to embark on a journey, through time-travel. This is a beautiful book touching on grief and time-travel (it definitely has the ability to question whether time-travel COULD actually exist). Definitely recommend this for 9 - 12 year olds. So that's my favourites for this month! What have you loved from this month? Have you read any of those books, or used the Naked2 palette and what did you think of it? Great post! The Art of Being Normal sounds like an amazing book. I'll have to check it out from the library!